Spring is here and Easter is just around the corner.....at Fieldstaffs that makes us think of bunnies, chocolate and hats!! 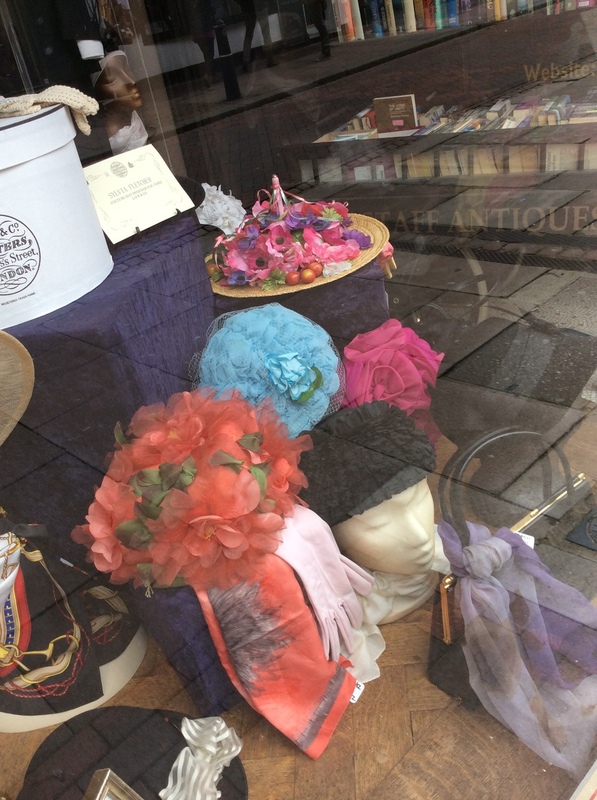 Gerry Davis has been collecting hats for years and some of the hats in our window are part of his collection. He also made some of them and has made costumes for the Rochester Dickens Festivals. Gerry is an extremely talented guy and proves that anyone can teach themselves anything. He was formerly a carpenter in the Dockyard! 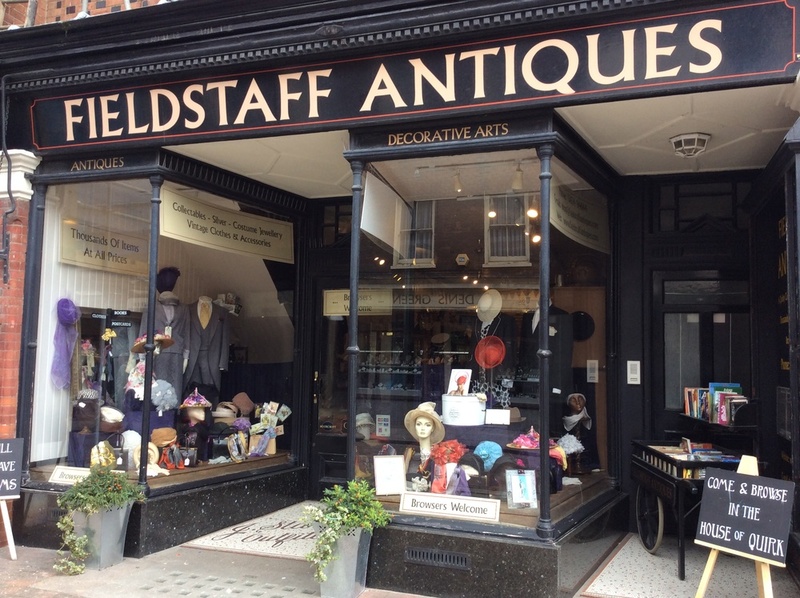 We have also kindly been lent a beautiful couture hat by Sylvia Fletcher of Lock & Co. Her hats have featured in exhibitions including “The Royal Milliner’s exhibition”, Bowes Castle. 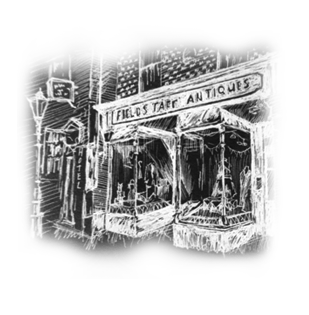 Her continuing success as a milliner is reflected by her client list, high fashion publications and through her career her creations have complimented the collections of well known fashion houses, such as Hermes, Prada, Stella McCartney, Bruce Oldfield, Anna Valentine, and many more. 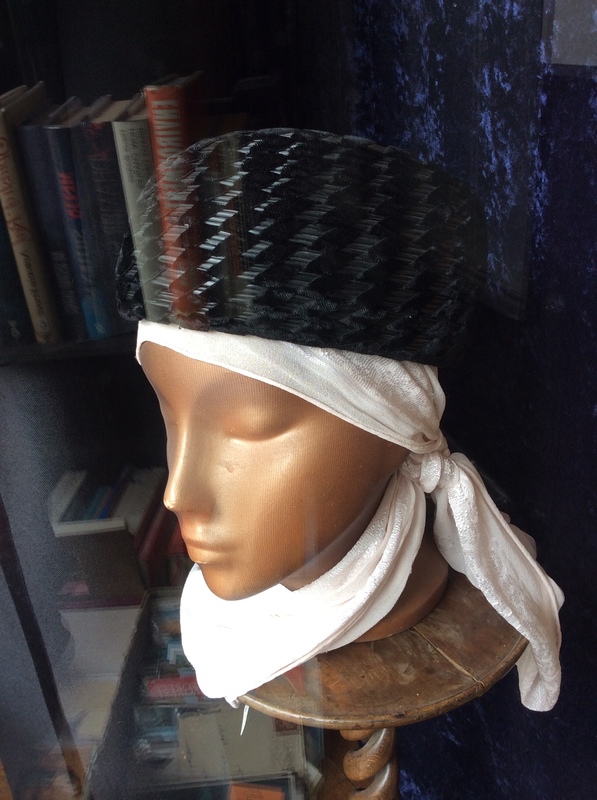 Sylvia designed the hat that appeared on the head of Lord Nelson in Trafalgar Square, celebrating the London Olympic Games in 2012. 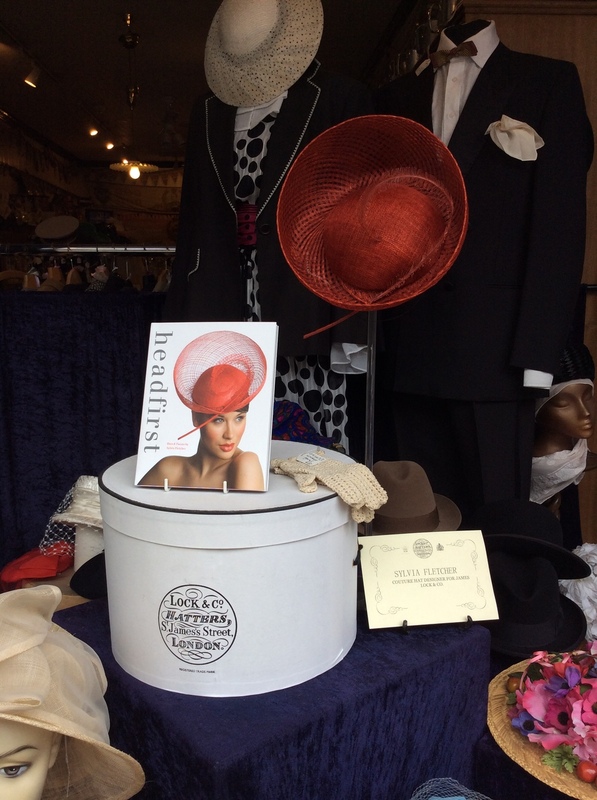 Well known as one of London’s leading milliners, Sylvia Fletcher has written her first book “Headfirst”, a kaleidoscope of her hats, poems and prose, which we have a limited supply of in the shop. 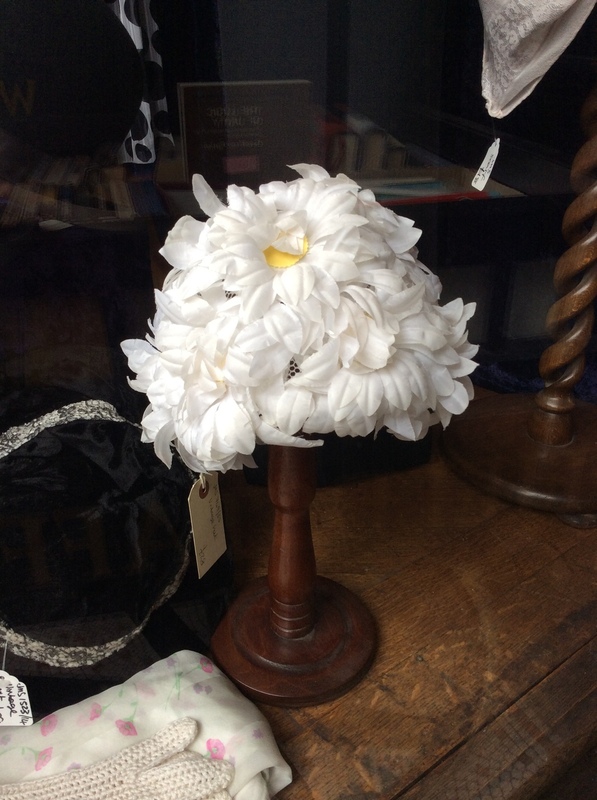 If you like this display, keep an eye out for our collection of feathered hats, which will be on sale via our website soon.